Makeup Revolution have been at it again and have brought out a whole load of new products in their I Heart Makeup range! 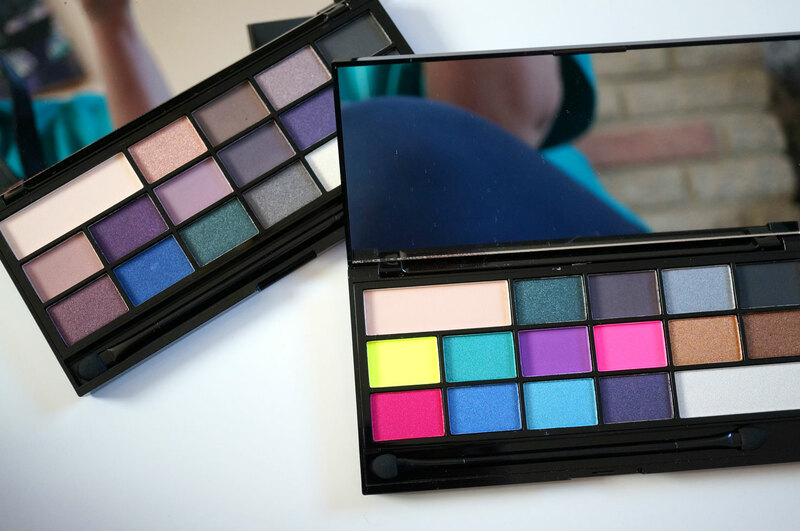 I have two new eyeshadow palettes called I Heart Passion, which is neutral / purples based, and I Heart Sin, which has some bright bold colours and a couple of neons in there too! 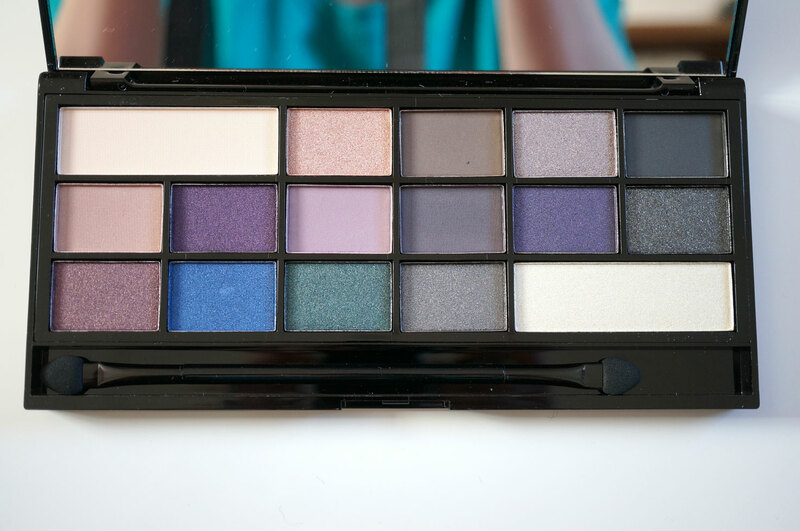 These new I Heart palettes have 16 shades which are a mixture of mattes and shimmers. These fall under the ‘Wonder Palettes’ category on the site, and sit with the two ‘Chocolate’ palettes. They cost £7.99 each, making each shadow about 49p. 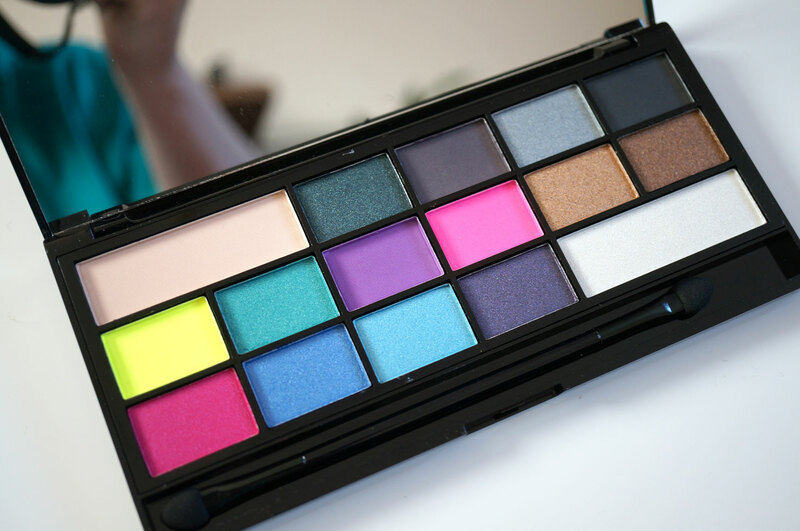 The I Heart Sin palette has seven neutral shades, including black, greys and browns, and nine bright shades including purple, neon pink, blue, green and neon yellow. 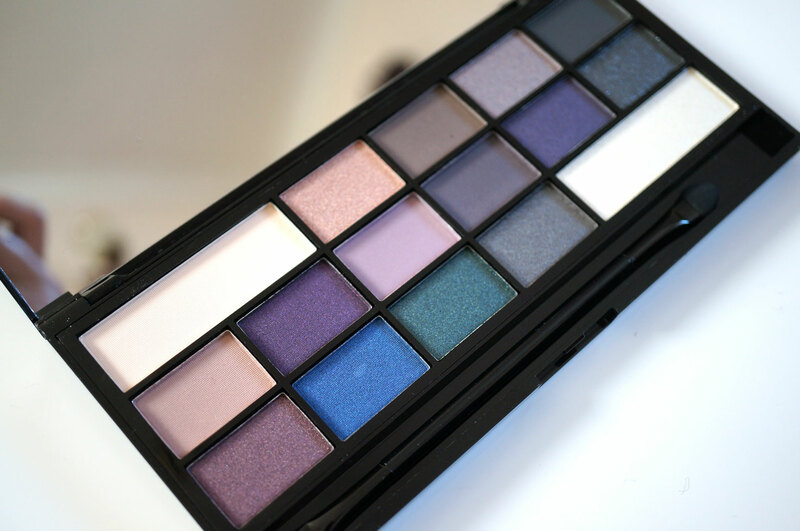 My preconceptions of this palette made me hope for great things with the shimmer shades, but not expect to much with the mattes. I was hoping I’d be proven wrong though as both the neon shades have matte finishes and I was really excited about these colours! 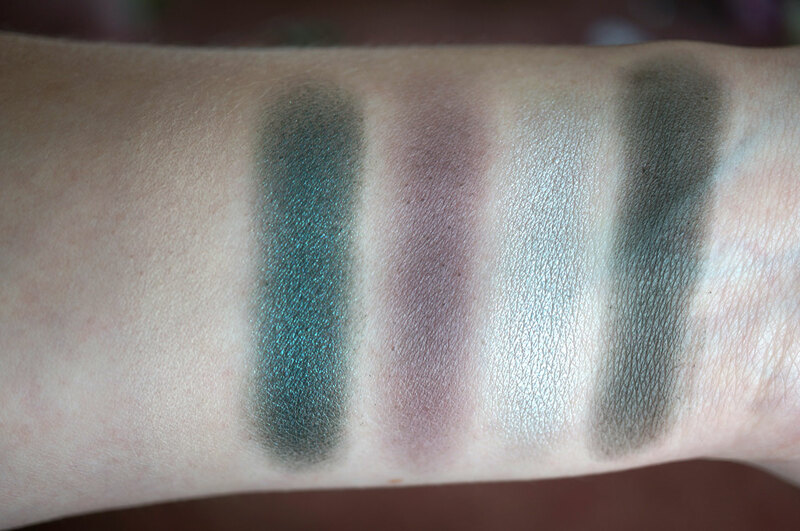 So if you take a look at the swatches, the shimmers do win hands down as expected. 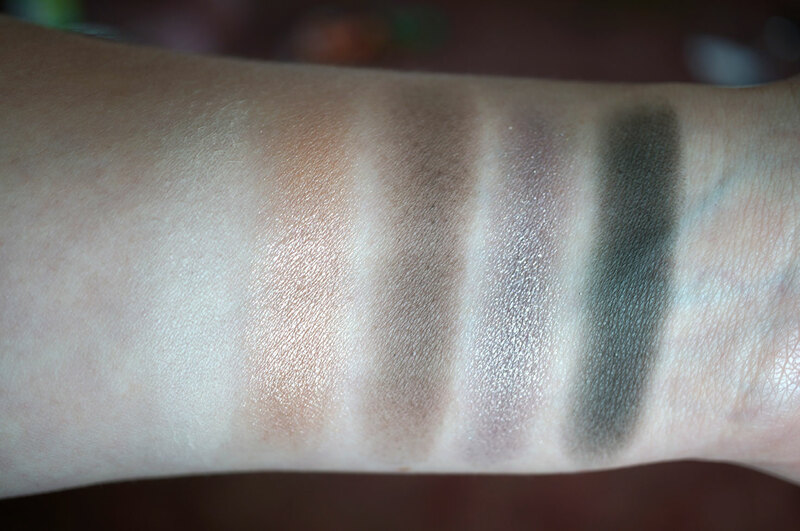 The two gold and brown shades, Golden Gun and Greed is Good were absolutely stunning, it was almost as if they’d been applied wet, the pigmentation was amazing and the colour was so intense! The two neons on the other hand were unfortunately not quite as exciting. The colour was great, and the pigmentation looked good too, they just didn’t apply very well and were quite chalky. 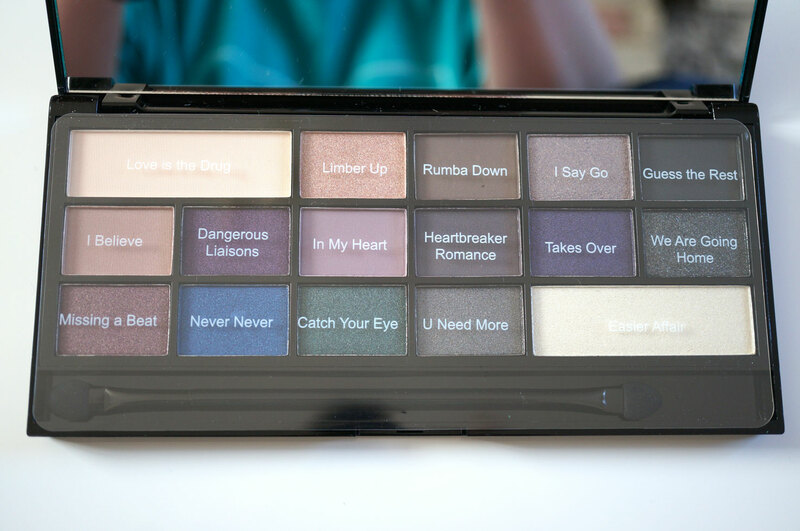 And now on to the I Heart Passion palette! This one is more neutral based, it has some lovely muted greys and purples. 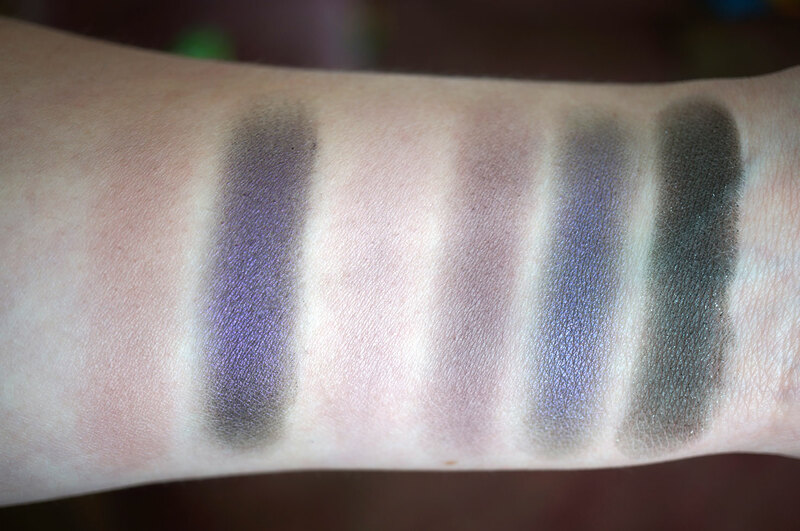 Again this has seven matte shades and nine shimmers. 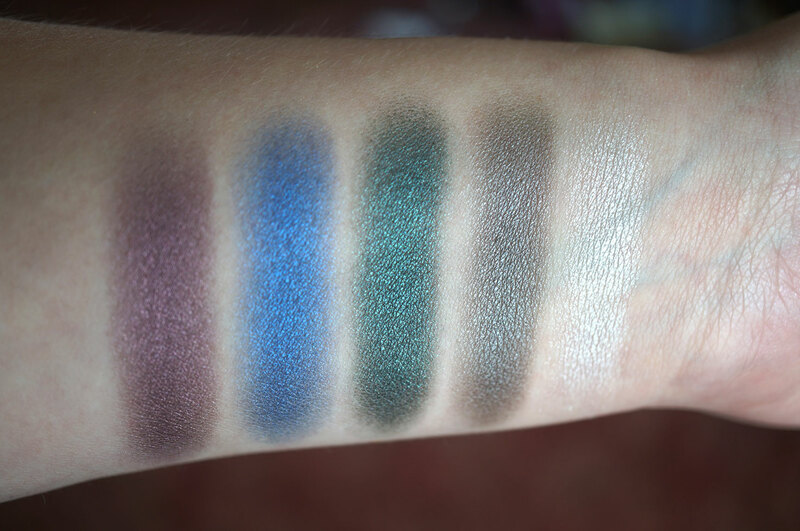 There are some fab shimmers in this palette, I love the intense blue of Never Never and the deep green of Catch Your Eye. 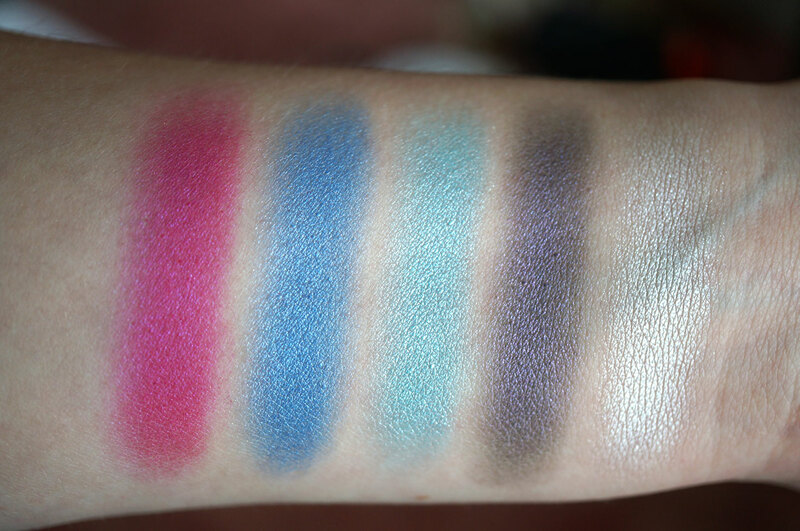 The I heart Passion palette definitely has more wearable, every day colours, but then I do love those two gold shades in the I heart Sin palette, I think I’m torn! So what do you think? 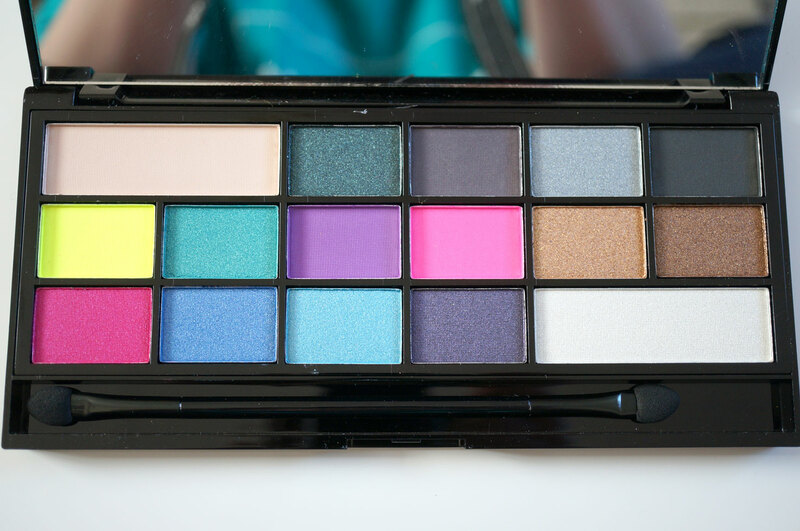 Will you be grabbing one of these palettes? Previous Post NEW MAC Collection! A Novel Romance for Autumn 2014! Next Post My Favourite Prom Dress! As much as I love their stuff I feel they’re rushing a lot of products out and they’re not great quality. Maybe I’m wrong but that’s how I feel. 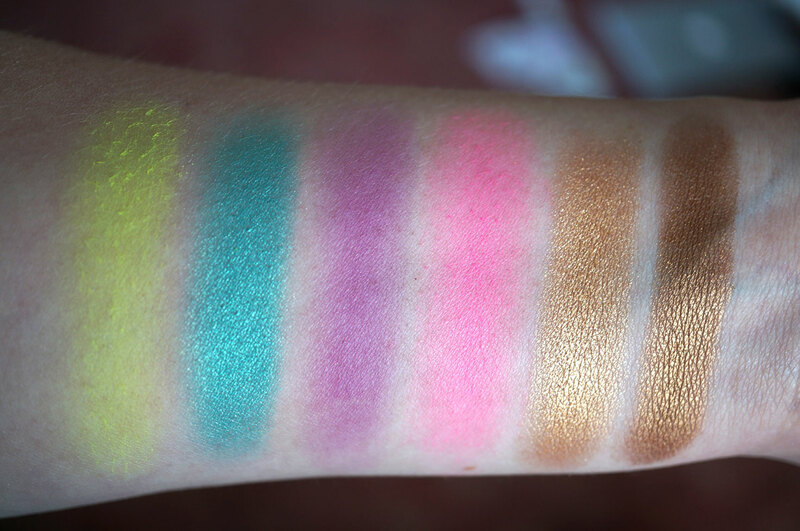 The bright one reminds me so much of the Urban Decay one out at the moment, but I could never pull of these shades, how ever much I want too! Lovely swatches 🙂 I just got the I Heart Chocolate palette and two single eyeshadows today.